For the finest leather western inspired accessories, choose 3D accessories. These traditional accessories often feature western style hand tooling or silver metal detailing. 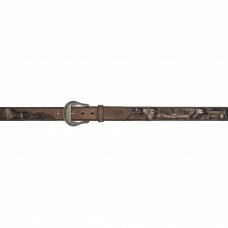 This Mens' accessory features distressed leather, canvas camo inlay, and two tone deer track conchos. 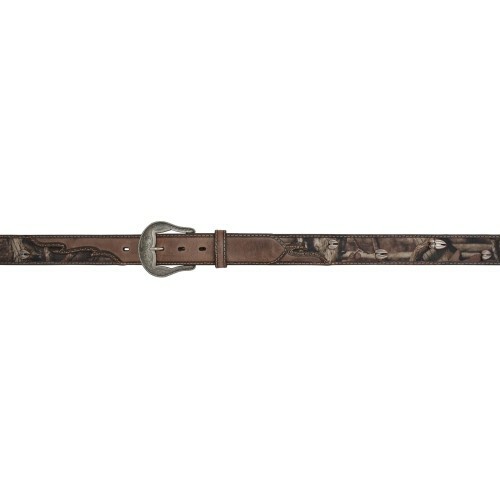 This belt is the perfect complement to a western style wardrobe.